I have now decided to email everyone when the newsletter is updated (unless it's just editing in a small update. This list applies to Placement testing (tester and testee), Staff Held tornaments with offical prizes, Practical Exams, "Gamble Games" in the Hunting Grounds, and the Kanto Challenge. The Absolute ban is pretty explainable as these cards CANNOT be inside any part of the decklist. Since progress is limited, we're ok for now. However, we really need more trainers for gyms. So, I've already extended the links outside the dojo. If you could all ask your friends who are not in DTD to sign up here that would be awesome. You may now team with any 2 members of the academy REGUARDLESS OF DORM. Once 8 teams total are registered, the first dorm wars tourney can kick off. We are delaying the launch of the tag force league until we integrate Dev Pro, and other programs into the academy, see the post below. DTD is expanding to other games and wants your help! In case you missed my little announcement on some reply a while back, DTD is in the early phases of becoming a more general strategy game academy. We intend to use other services to play almost every type of TGC and strategy game you can think of. We are also looking into new ways to stay in touch while we play all these services, such as irc's. More to come as this becomes a project. We are now hiring Acad Accountants. You will be paid a steady GP salary. You will be responsible for helping to update the GP spreadsheet. Also will be responsible for opening booster packs for the upcoming card library. We are holding a deck submission contests. 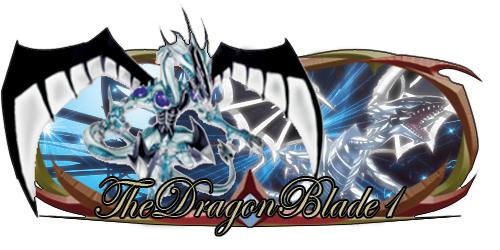 These decks will reward 200 GP and will become the canon decks of the characters from yugioh when they interact with RP players. The characters who are up for submission are 1) Yugi's Deck 2) Kaiba's Deck 3) Syrus' Deck. In addition 100 GP is offered for someone willing to make 10 DN accounts and emails. Start by reading pallet town. Tomorrow we will be adding it in the sidebar, but you can manually find it on the homepage by scrolling down to links. We have made a seperate site for the RP zone which will now operate like MMO tag force. You will be given 1 of 6 starter decks and have to buy cards in booster packs in the DTD card shop. If you do not have a card in your RP library, you cannot use it in an RP duel. There will also be a massive freeroaming RP section in addition to campaigns which is our current system. More information will be available when this launches. Shadow's New tournament is up and ready for applications.